• We thank and praise the Lord for the new year, which promises a new start and new beginning for His people. Thank and trust the Lord for His new strength and grace for 2019. • Pray for all churches, as we plan for the ministry and strategize the growth of the church, the Lord will lead all the clergy, pastors, evangelists and PCC to extend His Kingdom effectively. 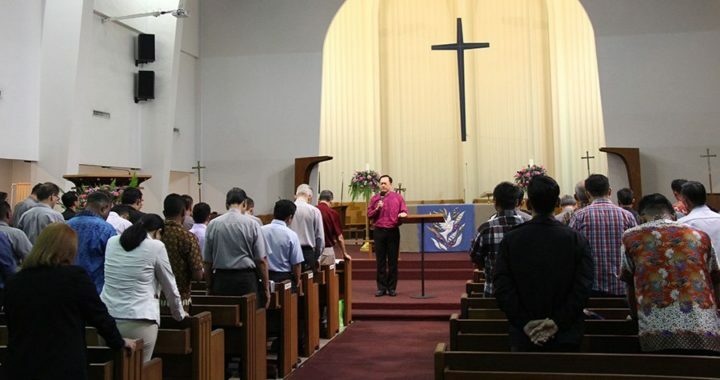 • Pray for the Clergy and Pastors Conference from 15-17 January 2019, that the Lord will grant us an united vision and strategy in a decade of Evangelism and Discipleship. • We declare that as God’s people obey and fear Him, they will be fruitful in the works of their hands. • We declare that God’s people shall be the head and never the tail, they shall be blessed in their going out and their coming in. • We declare that The LORD will cause enemies of God’s people who rise against them to be defeated before their faces; they shall come out against them one way and flee before them seven ways. • We declare that the Church shall rise to a new level of victory in her witness and ministry in 2019.• We declare that the work of darkness in this nation shall be exposed and. death, poverty, deception and division still operating against the people of this land shall be defeated. • We declare that righteousness and justice shall flourish in our judiciary, legislative, education, military and law enforcement. • We bless Malaysia with God’s best, and we declare that God’s blessings of peace, harmony and prosperity shall overflow in our nation.